Categories Reprints Reprint for existing bannerdisplay "Blizzard"
Reprint for existing bannerdisplay "Blizzard"
Reprint for your existing bannerdisplay "Blizzard". Your artwork will be printed on PVC-material. 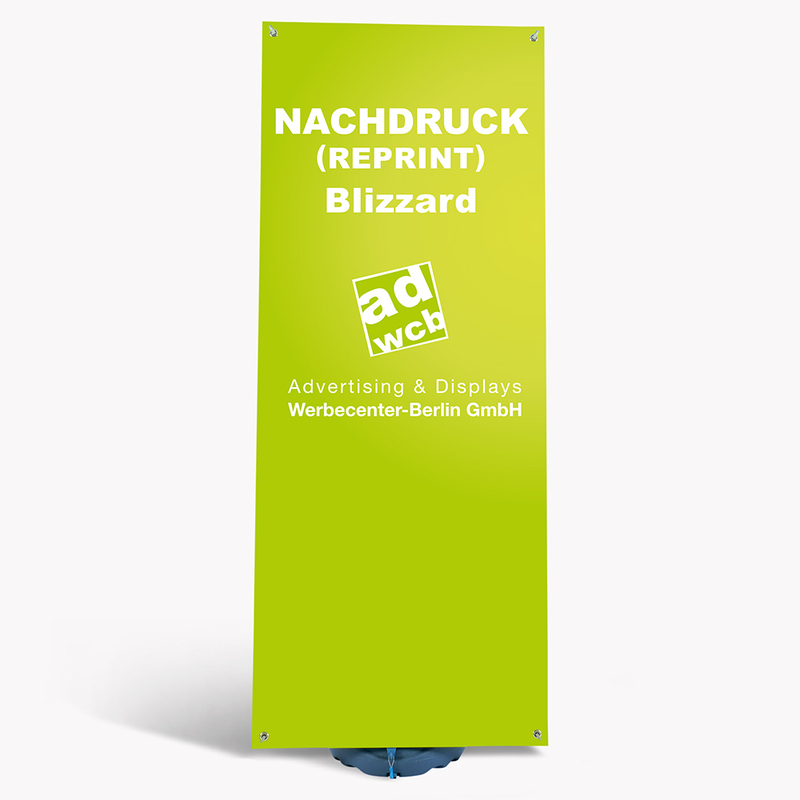 Reprint for your existing bannerdisplay "Blizzard". Your artwork will be printed on PVC-material. For displays not bought at our company, we need a technical specification sheet.